(1) Applicants wanting to use the logo must have intentions to cooperate in promoting and advertising the G20 Summit 2019. (2) The purpose of using the logo should be in line with the objectives of the G20 Summit. (3) Disgracing or hindering the correct understanding of the G20 Summit through use of the logo is prohibited. (a) No changing the layout of the title or the letters on the logo. (b)	No changing the colors. (c)	No separating the logo design into parts. (d)	No additional figures or characters (letters) may touch or overlap the official logo design. (e)	The specified margin (isolation area) must be maintained around the official logo. When using other figures or characters, they must not overlap or intrude on the original design in any way. (5) Using the logo for political, ideological or religious activities is prohibited. (6) The Secretariat for the G20 Summit reserves the right to inspect the condition and results of logo usage. (7) The logo must not be used in violation of law or in contradiction to the public order and morals. (8) The logo must not be used to guarantee the safety or quality of a specific product. Please complete the attached application form and send it to the Secretariat for the G20 Summit by email or postal mail. The application should be sent to the Secretariat at least three weeks in advance of the planned usage. The Secretariat will inform the applicant of the result after evaluation of application. (1) Documents submitted with application will not be returned. (2) All responsibilities for logo usage as well as for the target product belong to the applicant. (3) If the purpose of the logo usage changes at any time after the application is submitted, please inform to the Secretariat for the G20 Summit immediately. (5) Please use the logo by strictly following the rules set in the Logo Usage Guideline. You may not use a part of the logo alone, change the original design, or change the colors in the logo. In addition, the margin of the logo should be kept as defined in the guideline (see Isolation Rules). Please check the Logo Usage Guideline (separate document) for further information before using the logo. 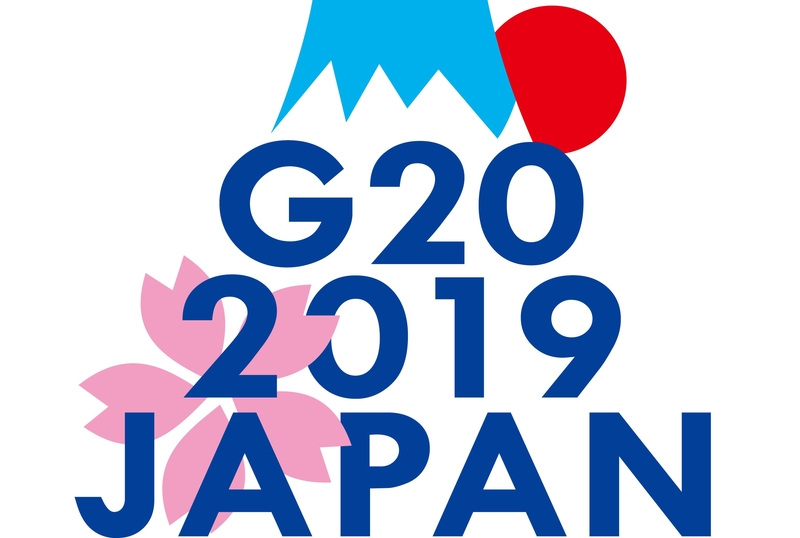 (6) The expiry date for G20 Summit 2019 logo usage is November 30, 2019, which is the termination date of Japan’s presidency for G20 Summit 2019.